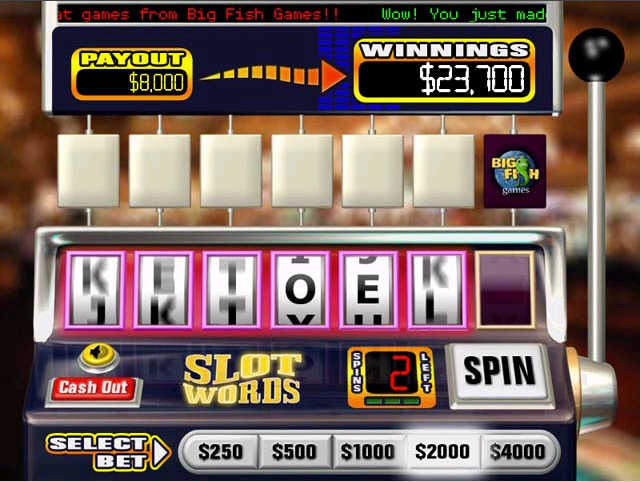 SlotWords - Get ready for some word scrambling madness! 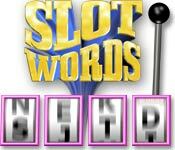 SlotWords - Get ready for some good 'ol word scrambling madness! 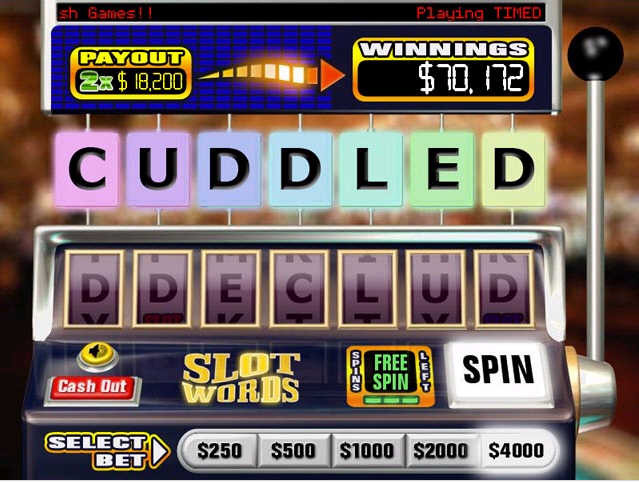 Place your bet, spin the reels and prepare to do some quick thinking to unscramble the letters that the slots reveal. The more you bet, the longer the word and the bigger the payout. Progress through the levels, each giving out greater payouts but allowing less time to solve the puzzles. How many levels can you survive before you start losing your hard earned cash? Convert to the full version for only €14.95 with no additional downloads. 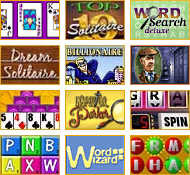 Ancient Tripeaks, BeTrapped!, Billionaire II, Dream Solitaire, Five Card Deluxe, Flip Words, Inspector Parker, Puzzle Word, SlotWords, Top Ten Solitaire, Word Search Deluxe, Word Wizard Deluxe. Bookworm Deluxe - Best word game offers onscreen definitions, words up to 12 letters in length, cool sound and graphics and more. Word Emperor Game - A new compelling Crossword Puzzle Maker, crossword puzzle game to make a crossword Puzzle for you! Word Slinger Game - A fun blend of Crossword and Scrabble word game making fun! Word Mojo Gold - A simple, create crossword puzzle game that is both challenging and fun words game for you. Weave Words Game - A fun new PC word game where you must try to uncover well known phrases and sayings. Word Up Game - Spell words on a dynamically changing letter grid. Word Link Game - A variation of words search puzzle game in which you have to find as many words as possible. WordBlitz Deluxe - Simply a Must-Download for Word game lovers. WordLab Game - A challenging puzzle word game that will change the way you word spell FUN! Word Jolt Game - Word Jolt offers up hours of shockingly great play, for both the mind and reflexes. Word Game Helper - A program to assist in scoring, practice and play of various word games. Aqua Words Game - A new word puzzle game with a well-known hero - Aquatic! Board Games Collection - The game is a collection of four board games: Speed Lines, Super blocks, fast balls and real clicks ! Cloud Burst Game - Big colorful drops are coming down hard in this fun and super addictive new puzzle CloudBurst game for you ! FreakOut Gold - Think fast as this sizzling hot game seduces your puzzle-solving skills in a way you've never experienced ! Hexip Game - Hexagonal battleship puzzles. Uncover the enemy fleet hiding in deep sea!